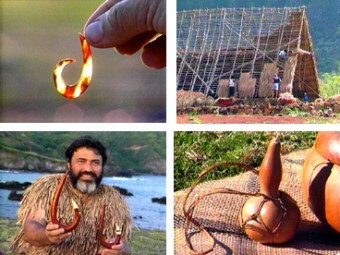 Sam explains the importance of cordage to the Hawaiians of old who bound their world together instead of using nails. He presents the treasured lei niho palaoa (whale tooth pendant) and describes its importance in family inheritance. While carving his well-known wooden ki‘i, he shares insights into the past gained from making things in traditional ways.